Substances found on the psychedelic drug list are known for their hallucinogenic and out-of-body effects in which they alter users' sensory perception while they are active. These morning glory seeds are sometimes taken for their psychedelic effects. Psychedelics, a class of hallucinogen drugs, bring on certain unusual effects not found through other types of drugs. With most all other drug types, users maintain their grasp on reality while experiencing a drug’s effects. With psychedelics, users seek out a very definite break with reality, which is what distinguishes psychedelics from other types of drugs, according to the Tennessee Department of Health. The psychedelic drug list consists of a wide range of different concoctions, some naturally occurring, and some synthetic or manufactured. Each drug produces its own unique effects, though users will experience a dissociative state in one form or another when using any drug found on the psychedelic drug list. Morning glory, the perennial vine plant found in so many backyards, produces a seed that brings on psychedelic effects when ingested. 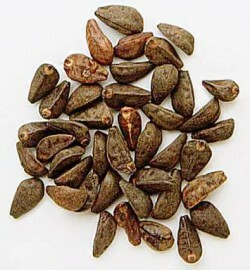 The more seeds a person eats, the strong the effects. Much like the effects associated with LSD, users experience a heightened sense of perception along with a diminished sense of reality. Users may also experience extreme mood swings in the process. The name “magic mushrooms” well describes this nature-made fungus on the psychedelic drug list. Magic mushrooms are known to produce hallucinations and distorted perceptions of reality. While edible, magic mushrooms taste particularly bad and often bring on bouts of stomach pains, nausea and diarrhea. As one of the most “intense” drugs on the psychedelic drug list, the DMT molecule exists in a number of different plants and is also produced by the human body. Though difficult to obtain and use, users gain access to a portal into the unconscious mind when using DMT. DMT also enables people to dream when asleep as the brain releases this powerful chemical. LSD, the granddaddy of all psychedelic drugs appears as a white powder that can be swallowed, injected or dissolved under the tongue. LSD effects produces visual, auditory and tactile hallucinations sending users into a world of their own. With LSD, environmental factors, such as a person’s mood and surrounding noise and/or activity can influence the type of “high” a person experiences. Someone who uses while in a bad mood will most likely experience a “bad trip” made up of frightening or upsetting hallucinations. Someone who’s in a good mood may experience transcendent-like experiences filled with awe, joy and peace. Also known as “smiles,” 2C-1 exists in powder form, but users typically mix it with chocolate or candy. Drug effects can last anywhere from four to 12 hours depending on dosage amount. Unlike most other drugs on the psychedelic drug list, 2C-1 produces mostly mental distortions of reality as opposed to the heightened sensory perceptions users experience with other psychedelics. Methoxetamine, a white-powdery substance, can be swallowed, injected or dissolved under the tongue. It can take anywhere from 10 to 90 minutes before a user feels the effects of the drug. Methoxetamine causes visual and auditory hallucinations as well as feelings of restlessness and increased energy. Drug effects may also produce feelings of “floating away” from reality.